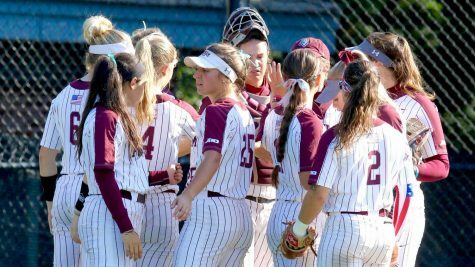 At the East Crimson Classic in Tuscaloosa, Fordham Softball played five competitive games against Samford, Alabama and Boston College, managing two victories in the process. 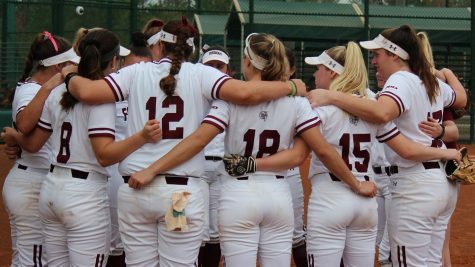 On both Friday and Saturday, the Rams split their matchups, defeating Samford and losing to #13/13 Alabama. 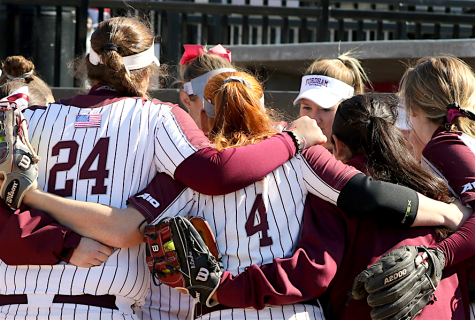 Both contests against Samford ended in 4-1 wins, with freshman Paige Rauch earning the win on Friday and save on Saturday in relief of winning pitcher Lauren Quense. 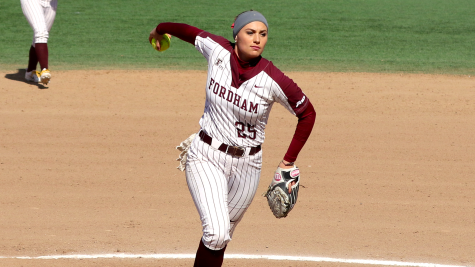 Rauch has been one of the team’s most consistent performers on the mound and in the batters’ box, with a 5-1 record, 1.89 earned run average, and 22 strikeouts as a pitcher, while also leading the team in such hitting categories as walks, triples, home runs, runs batted in, on base percentage, slugging percentage, runs scored and total bases. 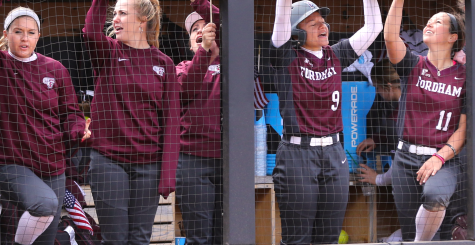 Head coach Bridget Orchard had high praise for Rauch – and the team’s veteran leaders – following this past weekend’s action. 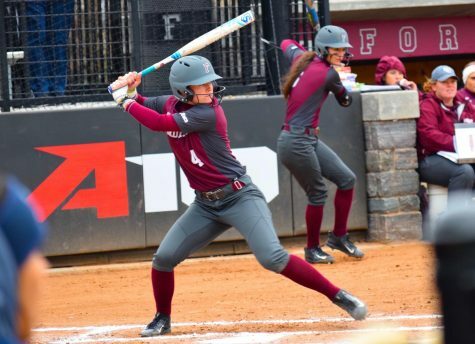 Fordham lost a nail-biter to Alabama on Friday night, 4-3, and again the following day, 7-2, despite Madi Shaw’s four combined hits over the two games, including a home run, a double and three RBIs. Orchard was encouraged by the way her team played against a nationally-ranked opponent, she said. “I was very proud of our team and the effort we gave in both games. The first game I feel we played very well and were a hit away from breaking the game open and beating them on their home field. The takeaway is that we are good enough to play with the top ranked teams, we just need to execute better. [Generally, our hitting] went flat and we couldn’t get anything going. I thought our defense and pitchers did a great job with their powerful offense. Four of our pitchers all had the opportunity to face them and I feel that will help them as we get into conference play. Every batter in Alabama’s lineup is dangerous, and we did a decent job keeping them off the bases. It was a great opportunity for us to play in front of a huge crowd on national TV at an amazing facility like ‘Bama. Our players are gaining incredible experience that should pay off in the end,” Orchard said. 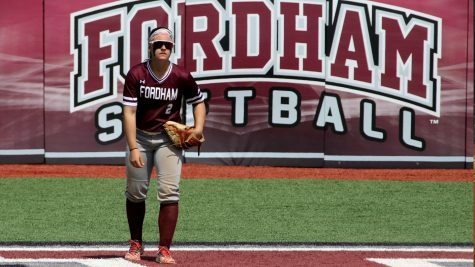 On Sunday, Fordham squandered a late lead against BC, ultimately falling, 4-2, despite two more RBIs from Shaw. 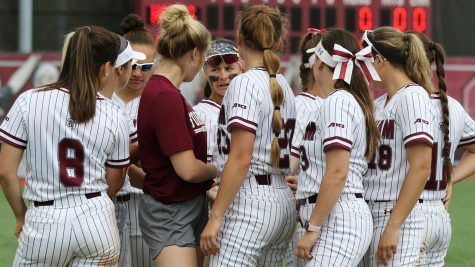 20 games into the season, the team holds a 6-14 record, a mark that Orchard feels is a reflection of the intensely competitive early-season schedule and that will turn around as the team enters Atlantic 10 play. 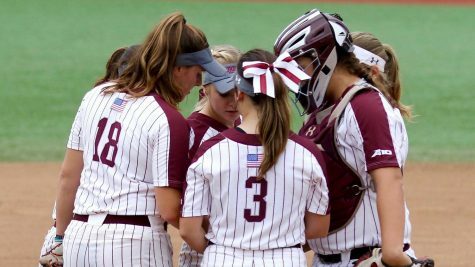 Tuesday’s game against Hofstra was rescheduled due to weather and will now take place on Wednesday, March 28th at 3pm. 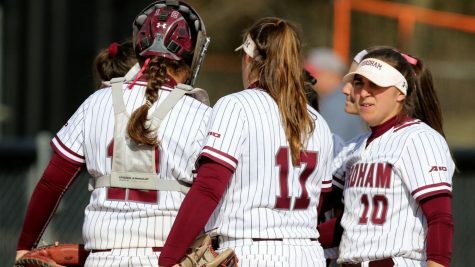 This coming weekend, the Rams will host the Fordham Tournament, where they will face UMass Lowell, Holy Cross, Seton Hall, and Detroit Mercy in their first games at Bahoshy Field this spring.